Adjacent to the Aria Hotel, this magnificent all-suite and non-gaming property is connected to the Bellagio via a monorail. 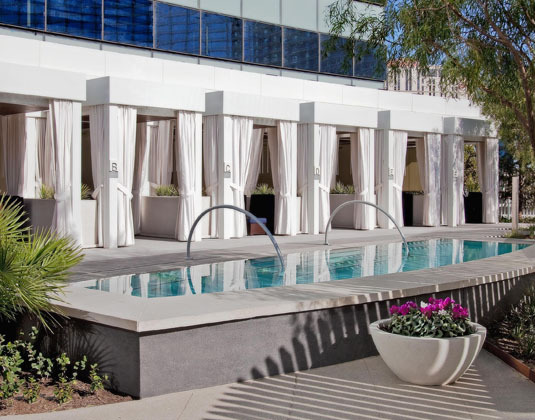 It's a perfect choice for those looking for a more serene place to stay in Vegas, yet still offers full access to all the fun! 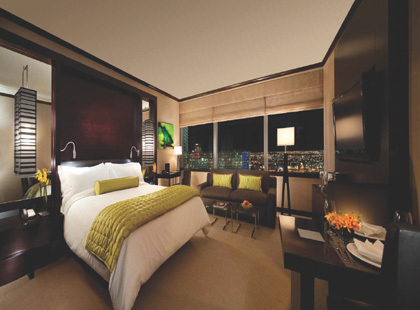 The well-appointed, luxurious suites combine elegant styling with modern amenities, while expansive windows offer abundant light and sweeping views of the Las Vegas Strip and the surrounding mountains. In studio suites with TV, living room, kitchenette, mini bar, media hub, hairdryer, iron & ironing board and safe. City corner suites that have a partial view of the Bellagio Fountains.